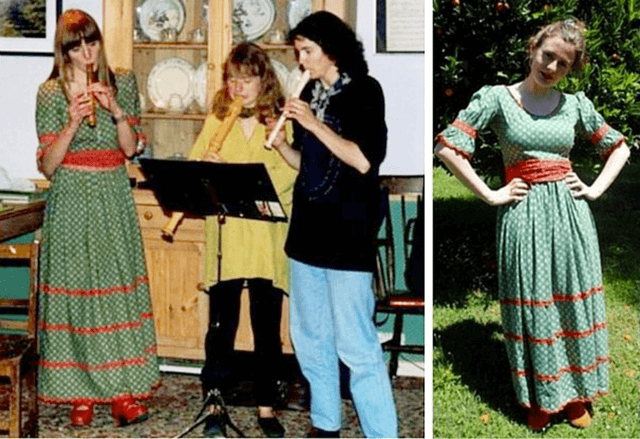 An artist from Cornwall was astounded to discover that a vintage dress she bought in a Brighton shop once belonged to her mother. Lally Macbeth said that she was instantly drawn to the green and red Susan Small dress, but didn’t buy it straight away, as it was at the top end of her budget. However, after struggling to find anything else, she called her mum to ask whether she should buy the £32 dress. 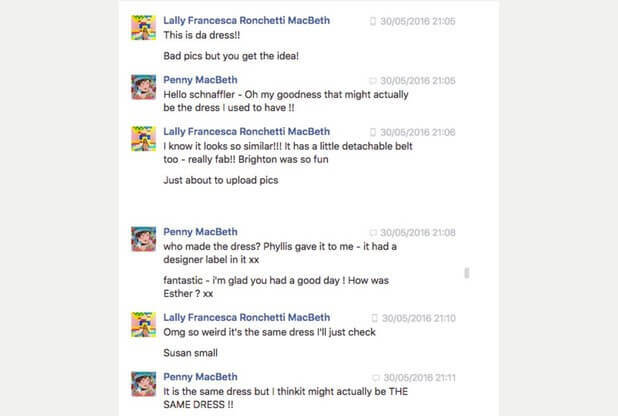 Later that evening, Lally sent her mum a photo of the dress and was amazed to discover that her mum had previously owned exactly the same dress. This is not the first time Lally has come across a dress previously owned by her mum. Lally said she saw another Susan Small dress on eBay that she liked.